Blue Cat's Free Amp is, you guessed it, a free guitar amp simulation plug-in offering three models taken from the company's Destructor amp simulation modelling software. The models included are "classic clean", "classic drive" and "modern drive", allowing you to create clean vintage tones one day, and high gain metal tones the next. Simply load the plugin in your DAW and play! You can also load your own cabinet, microphones and room setup to tailor it further to your desired sound. Plus, as always, don't get stuck thinking these are just for guitars, these free plugins willl work tonal wonders on your synths, drums and vocals too! 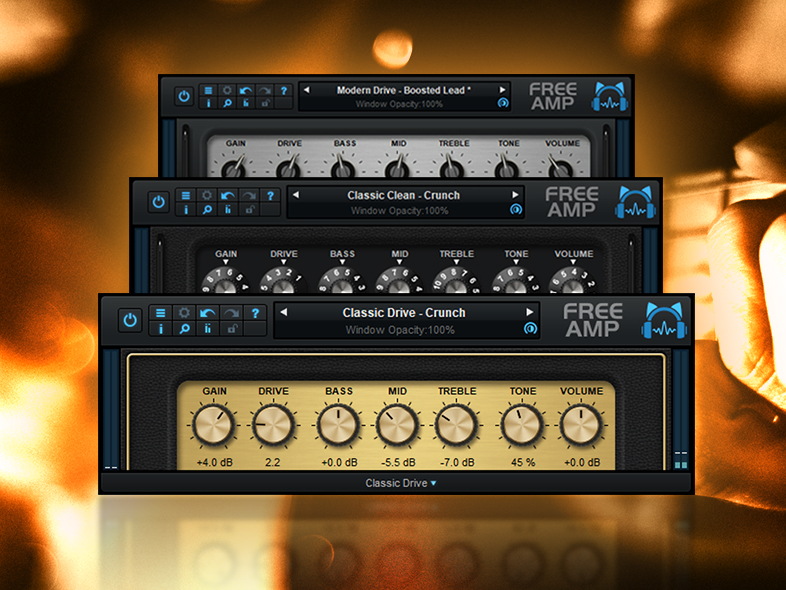 Free Amp is available for both Mac and PC and can be downloaded for free from the link below.